Cooking on Skates: Why Do Derby Girls Dress Funny? 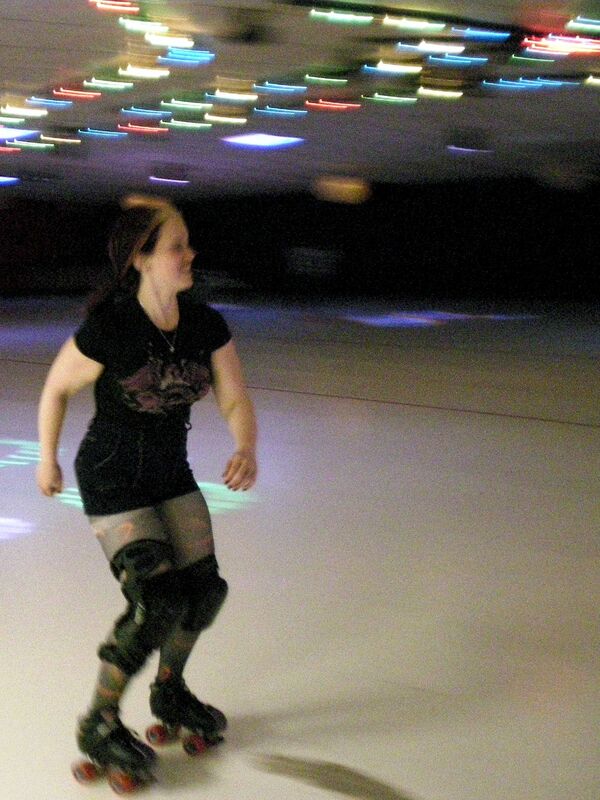 Surely you've already looked at photos of modern derby girls and thought one thing: "WTF?" Maybe you think we look hot. Maybe we look like little kids who can't put together an outfit. Well, there is a reason for our madness! A fellow league member drew up an Anatomy of a Derby Girl a few months ago, but I'd like to elaborate a bit. There is a purpose to all the gear and whatnot. Tights—Some of us have seriously womanly thighs. Tights prevent rubbing, which prevents me from getting grumpy. Knee-high socks—Keep my tights down when pulling on knee pads. Knee pads—Protect my knees. Obviously. Knee brace—I wear a custom knee brace over my right knee pad and often a neoprene brace under my left knee pad. The custom brace is absolutely essential at this point, as the strength in my right leg isn't 100% and I'm still at risk of re-injury. I only wear the other one sometimes, but it's because my knees were bad to begin with. Tank top/Fitted t-shirt—Skating works up a sweat! Fitted clothes are most comfortable to move in (in my personal opinion). Underwear under and over tights (or hotpants, etc)—Again, keeping all clothes as cool and fitted as possible. Plus, when do you get to do this in real life? Sport socks over knee-highs—Knee-high socks are cute and useful, but not thick enough to guard my wimpy feet against my leather skate boots. Toe guards—Your rink skates don't have these. We fall. I fall a lot. Cheap toe guards (many of which are custom and adorable) protect our expensive skates from extra wear and tear.